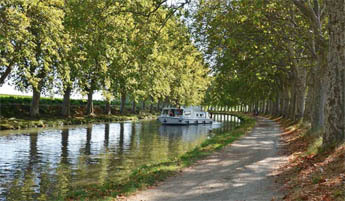 What future for Canal du Midi? 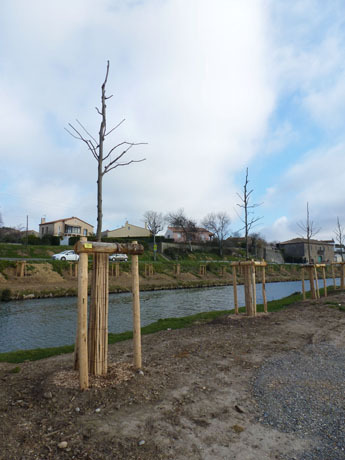 VNF’s summary report on its activities in 2012 devotes one of its 10 chapters to the tree-replanting programme and corporate patronage approach to funding the €200 million restoration of the Canal du Midi’s characteristic landscape. VNF reports (in its New Year press release) that it felled 1668 plane-trees condemned by canker stain in 2012, and replanted 68: the uninformed reader immediately sees a ‘deficit’ of 1600 trees. This sad statistic, however inevitable in view of the experimental nature of the first replanting operations, is like a wake-up call. The tree-felling and replanting debate – and the questions surrounding the should not become an excuse for inaction in other areas. This is one of many concerns expressed by the Toulouse Waterway Information Network, a grouping of waterway interests in SW France. The network (Réseau Fluvial Toulousain) is challenging local and regional politicians to come up with a robust and workable plan to develop the waterway economy. It is convinced that France in general – and in this case SW France – possesses unique skills, resources and capability to make the canal economy more vibrant, and create more jobs, generate more income. They say this is what the World Canals Conference* should be all about, and call for a debate to be held in the context of this international conference, a debate which should leave no stone unturned in the search for viable management models and economic development for our canals and rivers. 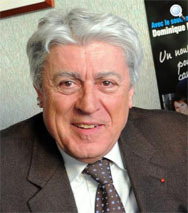 A properly-planned future for the Canal des Deux Mers should be an issue in the 2014 municipal elections, and the réseau hopes that candidates will state their positions in their manifestos. A report commissioned by former prime minister François Fillon has delivered its verdict on the scale of works required to restore the Canal du Midi‘s priceless tree canopy. The 42,000 plane trees (82% of the trees lining the banks) are being decimated by canker stain. Despite a range of preventive measures and careful felling of the affected trees, the whole population of plane trees east of Carcassonne is practically condemned. VNF, managing this UNESCO world heritage site, developed a plan for regeneration in close collaboration with the Government’s High Commission on Sites and Landscapes (CSSP), but the report suggests intensifying the campaign to fell the diseased trees and replant resistant species throughout the length of the canal over a much shorter time-frame than initially envisaged: 10 years. • €4M (2%) for preventive measures: research and development and protection of roots in the non-contaminated areas. This evaluation does not include the costs of prospection, monitoring and trimming the trees as required over a period of 15 to 20 years to form the characteristic canopy. The new report was commissioned from Haute-Garonne Senator Alain Chatillon, who is also the mayor of Revel, in the heart of the canal’s feeder system at the foot of the Montagne Noire. The Government wanted a broader strategic view of the issues raised by the environmental disaster which sent a huge shock through all involved in managing the waterway. The first conclusion is that both the tree felling and the replanting should be moved forward more rapidly. VNF is currently dealing with 300 trees per year. But the Chatillon report seeks above all to justify the investment, to better define the canal’s values, to identify means of funding the works and to prepare for long-term governance of the waterway. The socio-economic benefits of the canal through recreational use and tourism on the water and on the banks have been documented for many years, and are undisputed. But the rapporteur implies that there is inadequate ‘bundling’ of the canal into broader-based tourism products through the corridor, which should be considered like a ‘valley’. He fears that transformation of the canal’s landscape will have a negative impact on the canal’s image and use in the coming years, and suggests that planning should start without delay, to adapt to the probable changes in visitor’s use patterns. He also feels that the canal’s parallel functions of irrigation and water supply should receive more strategic attention. Funding the works – Chatillon suggests that one third of the cost should be covered by the State, one third by the regions (including EU funding and interregional cooperation projects supported by INTERREG), and the last third by corporate patronage. The State part could be achieved through an increase in the boat licences paid for the canal (an extra €200 000 per year) through VNF, and application of a visitor’s tax per night, as applied for hotel nights. More value should be extracted from properties within the canal’s estate, he suggests. Corporate patronage incentives – Alain Chatillon sees considerable potential for attracting funds from the private sector. The UNESCO listing will give contributors worldwide visibility, and the population is genuinely attached to the canal through its history and as a tourism asset. Corporate patronage could be boosted by the tax reduction of 60% to be claimed on contributions. The tax rebate is even higher for individual contributions (66%). Scenarios for developing patronage – The idea is eventually to create a trust, which could be part of a national heritage foundation. In the meantime, a public subscription offer could be set up to attract funds from the general public, while a club of canal patrons could be the first stage in promoting the principle of patronage, eventually leading to a strong patronage offer associated with the tasks of preserving and restoring the canal’s environmental and cultural heritage. Canal marketing – Chatillon is convinced that the canal’s tourism-based economy can only survive if it is associated with a clearly identifiable mark, supported by a seal of approval (‘label’ in French). This is the only weak link in an otherwise well-structured and well-argumented report, because no orientation is suggested. Marketing initiatives taken by VNF and the three regions have to date produced limited results, especially at the international level. The information portal Rivières et Canaux du Midi does not even have an English version! This is European and regional funds poorly spent. The report examines three possible scenarios. The plane-tree replanting programme has highlighted the difficulty in taking measures with such a complex and multi-layered network of stakeholders, and a common structure is now increasingly urgent, not just on the Canal du Midi but throughout the ‘Deux Mers’ route and its connecting waterways. Scenario 1 – VNF continues to manage the waterway. The partners sign a co-funding agreement for 15 years; in return, they are fully associated in the decision-making process, and have clearly defined tasks to perform. Complete transparency is essential for this approach to work, to ensure that the regions and the other stakeholders feel a genuine sense of ownership of the canal. This scenario has the advantage of avoiding any interruption in management, and being quick to implement. Scenario 2 – A new structure is set up, such as a mixed economy corporation (‘Société d’Économie Mixte’) or a Public Interest Grouping (GIP), which would collect the public funding for the canal’s environmental functions: the tree-planting and water resources. 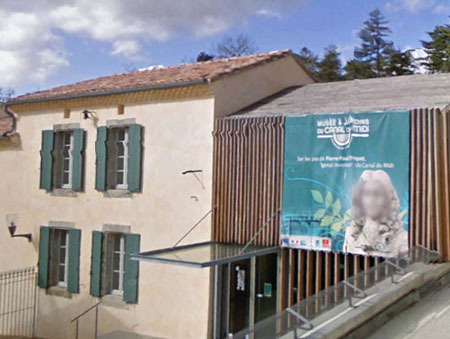 This organisation, as project authority or ‘owner’ for the projects thus funded, possibly with VNF as contracting agency, would at last embody the effective cooperation among the three regions Aquitaine, Midi-Pyrénées and Languedoc-Roussillon. - tourism development based on the ‘valley concept’ (on and around the water). The funders would bring together all players wishing to be involved in these three fields of action, and would delegate their authority to a management body. The transfer of these responsibilities to an interregional agency has proved to be successful at a smaller scale. Our member the Entente Vallée du Lot is an example. This new entity would effectively coordinate the three missions, each performed by specific operators. This could be the new ‘founding act’ of the canal, just as the White Paper laid valid foundations, albeit with inadequate results, in 1996. Watch out for further information and updates on this issue of heritage canal governance which is critical for French waterways in general! Our thanks to the Réseau Fluvial Toulousain for drawing our attention to the press conference.